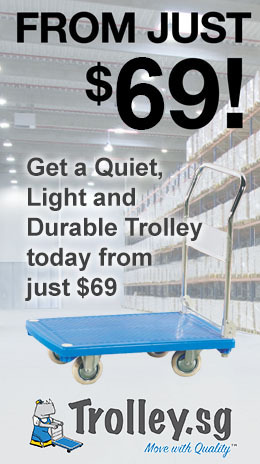 Hand Pallet Trucks - #1 Hand Pallet Truck Brand in Singapore! 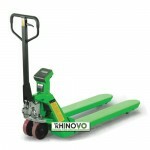 Rhinovo pallet jacks are durable, superior designed, attractive and reputable. 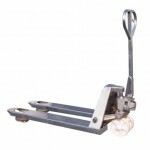 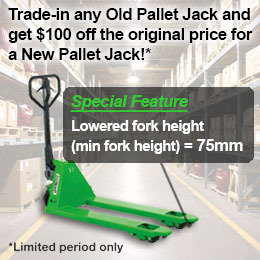 There are a wide extensive range of pallet jacks to meet your requirements. 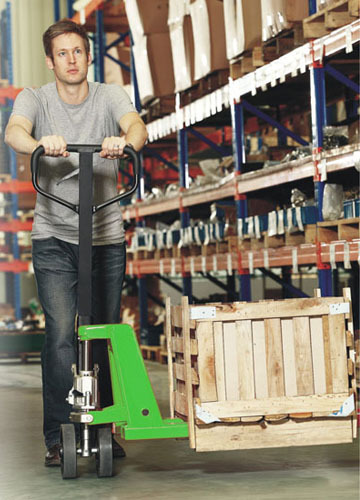 The standard pallet jack for 2 tonne to 3 tonne load capacity has an exclusive lowered fork of 75mm, which can conveniently meet most pallet (wooden / plastic) requirements. 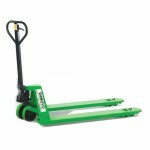 Rhinovo provides most unique pallet jack sizes and specifications such as long fork, short fork, extra wide fork, low-profile , 4-way traverse capability, galvanized (stainless steel), and pallet jacks with measurement weighing scale, to even pallet jacks with capability for 5 tonne load capacity.